An innovative concept is now available to schools and municipalities with müel multisport areas. Soccer field, basketball court, the MÜEL multisport area is all that and much more. A new way to play using the many games of skill and friendly competitions found on the panels. 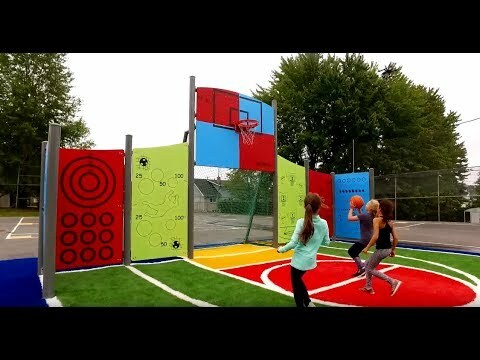 A piece of equipment that may prove very useful to a physical education teacher, a day camp counsellor or even just for the public in a municipal neighbourhood where young people mill about looking for new experiences. A contemporary way to reach today’s youth.